Who else will save the country from... everyone? Editor's note: With today's cartoon we are proud to welcome Tom Tomorrow to TheNation.com. 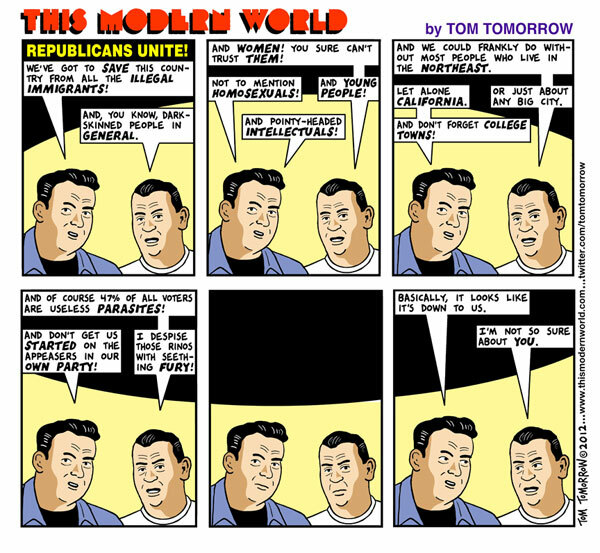 Check back every Tuesday morning on the Tom Tomorrow blog for new posts.